Welcome to the Coeur D’Alene Super 8! 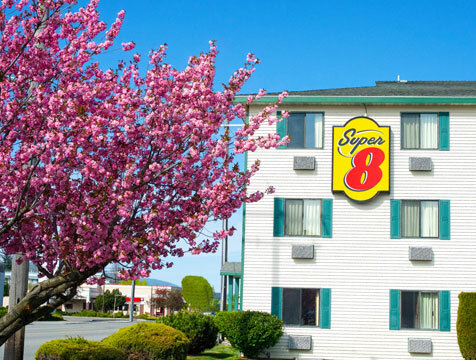 Located just off Interstate 90 in beautiful Coeur D’Alene, Idaho, our Super 8 is your lodging destination. We are just 30 minutes to Spokane airport and less than a mile from Wild Waters Park! We only stayed one day on our way from Seattle to Grand Teton but found the hotel an ideal stop point, Hotel was clean, comfortable and quiet. The town itself was pretty nice for a night.